It’s not often that I go around the blogosphere screaming from the rooftops about how amazing a recipe is. 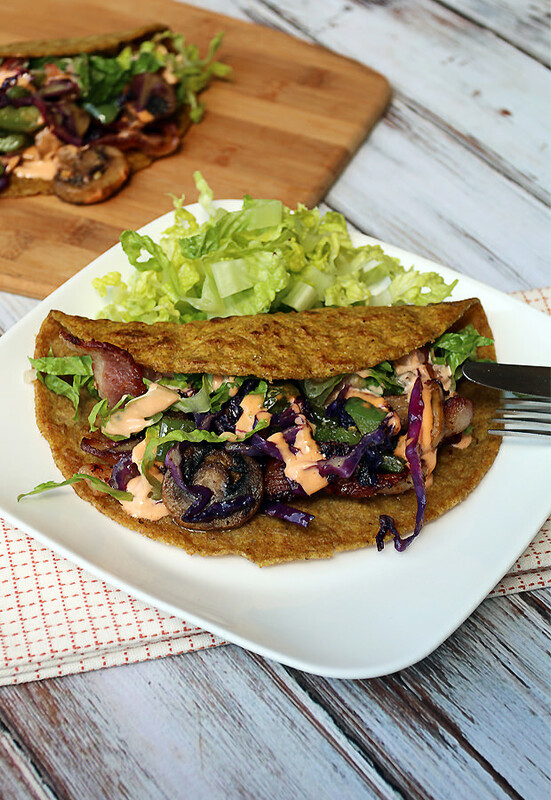 Heck, I won’t even do it now – I just want you to know that if you’re looking for an awesome tortilla recipe that’s really easy to do, then TRY THIS RECIPE. I know many of you have been using the other tortilla recipe on the site, but the dough starts to get a little tough to work with unless you work very fast. As the boiling broth cools, the dough starts to cling together, making it harder to roll as you go. These, on the other hand, can be rolled at your own pace. Better yet, I even ordered a Cast Iron Tortilla Press off of Amazon to start making these even faster and easier. Who’s ready to see some enchiladas, quesadillas, and chimichangas? Me too! The spices I used in the tortilla was just my personal option. Psyllium husk and flax together don’t taste of much, so you can pretty much add whatever you’d like to the mix. Cumin, chili powder, cayenne pepper, garlic, onion – anything you want! If you have any sundried tomatoes on hand, you could make a rosemary sundried tomato flax tortilla. How amazing does that sound? 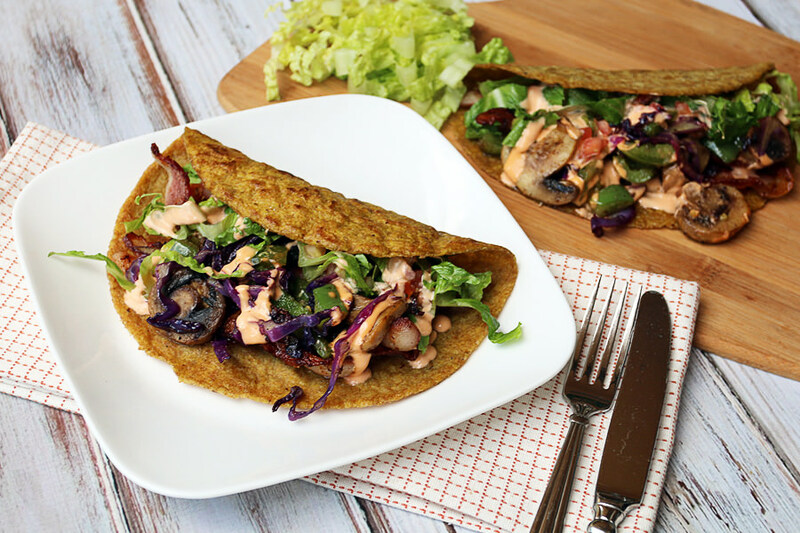 If you try some funky, or just delicious tortillas with your own spice mixes leave a comment below to tell me how they turned out and what you did with them! Per Tortilla: 1 teaspoon olive oil for frying, and 1/2 teaspoon coconut flour for rolling. 1. 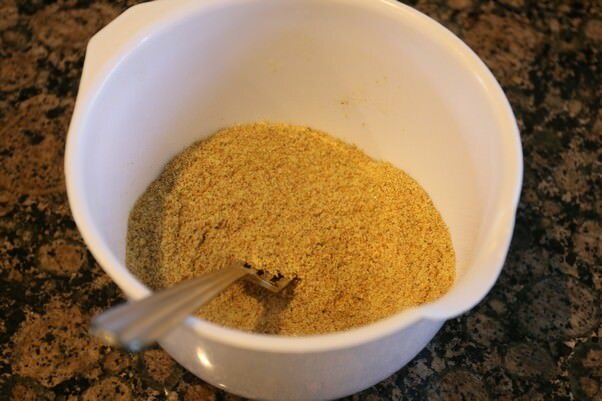 Add 1 cup Golden Flax Seed Meal, 2 tbsp. Psyllium Husk Powder, 1/4 tsp. Xanthan Gum, and 1/2 tsp. Curry Powder (or spices of your choice) in a mixing bowl. 2. Mix all of the dry ingredients together well, making sure all of the powders are evenly distributed. 3. Add 2 tsp. Olive Oil and 1 cup + 2 tbsp. Filtered Water to the mixture. Mix this well until a solid ball forms out of the mixture. 4. Leave this uncovered for 1 hour on the countertop so all liquid can be soaked up properly by the flax. 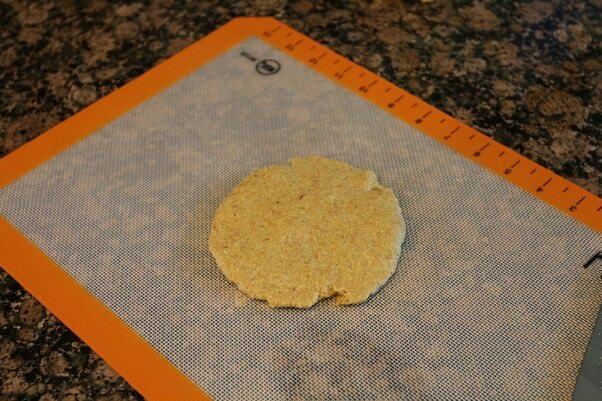 Once finished, measure out portions of tortillas and get a silpat ready. 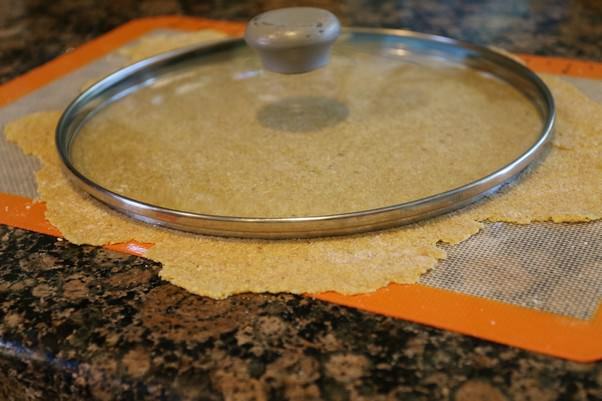 If using a tortilla press, measure out 5 portions, if rolling by hand, measure 3-4 portions out. 5. With each portion, press it against the silpat using your hand. 6. Sprinkle ~1/2 tsp. 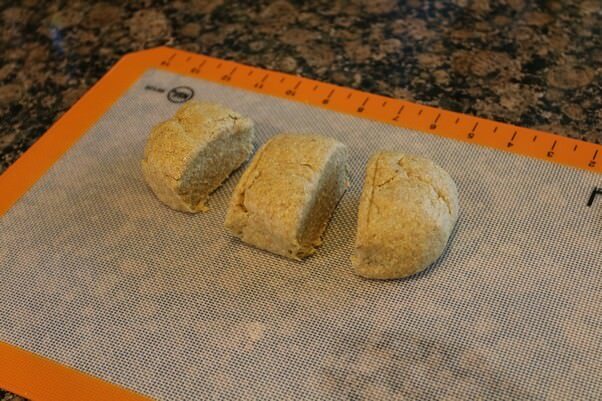 coconut flour over tortilla and rolling pin, roll out the dough as thin as you can get it without tearing it. 7. Using a large round object, for me it was the lid of a pan, cut out your tortilla and seperate it from the excess dough. 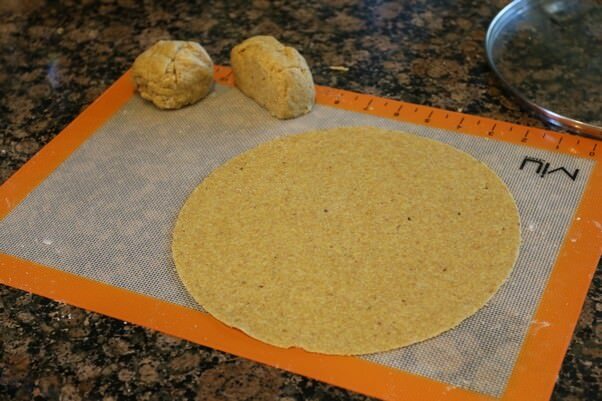 Take excess dough and save it to roll out more tortillas. 8. You should be left with a completely round tortilla. Repeat the process for each tortilla. 9. 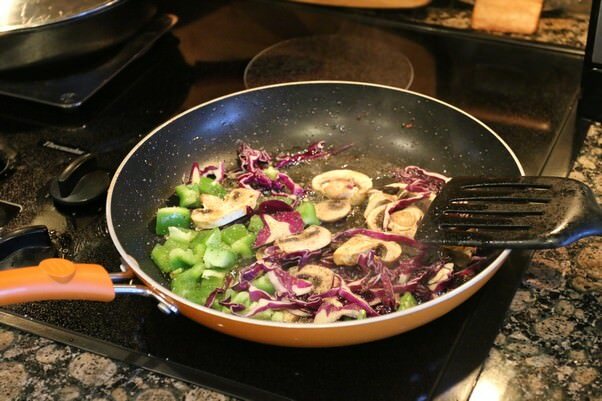 In a pan over medium-high heat, add 1 tsp. olive oil. 10. 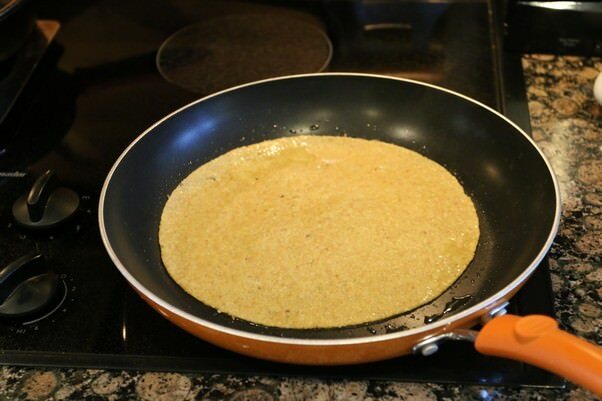 Once oil is hot, add tortilla and fry to browning of your choosing. 11. 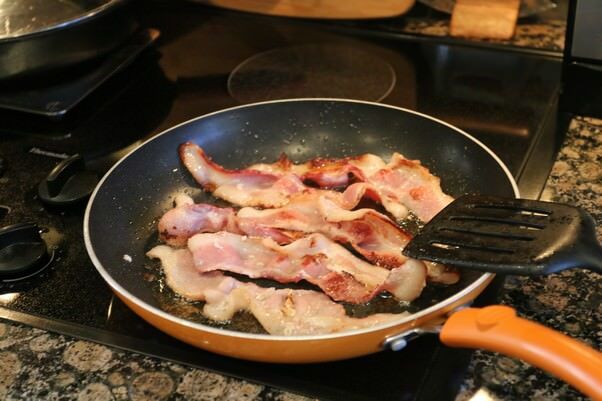 OPTIONAL (But really, when is frying bacon actually optional? ): Fry up some bacon. 12. OPTIONAL: Add mushrooms, green pepper, and red cabbage to bacon fat and let it soak up all the fats. 13. Serve! Feel free to add fillings of your choice! This makes 5 total Flax Tortillas. 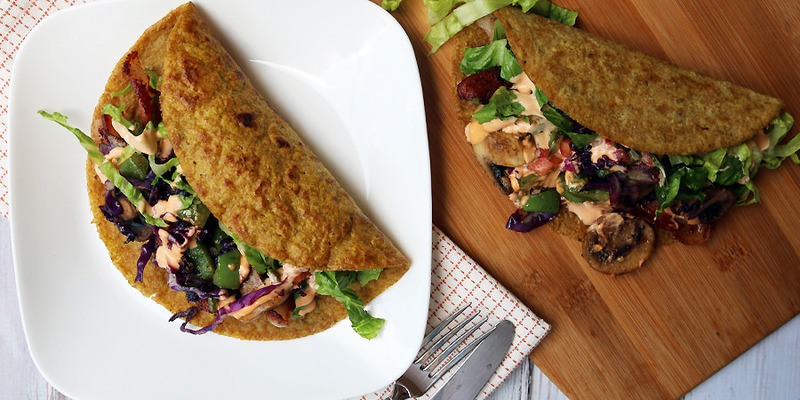 Each tortilla has 184.4 Calories, 11.78g Fats, 2.18g Net Carbs, and 4.99g Protein. 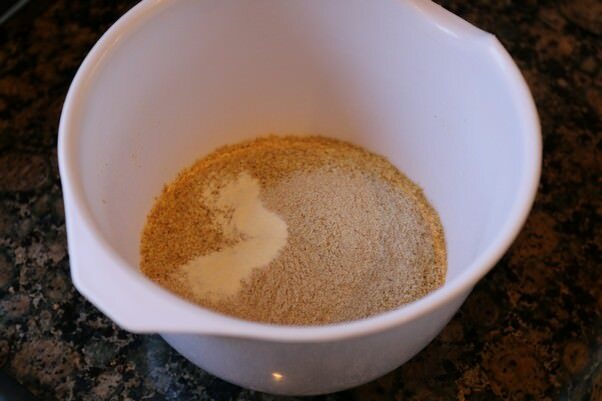 Mix together all of the dry ingredients, then add water and 2 tsp. oil. 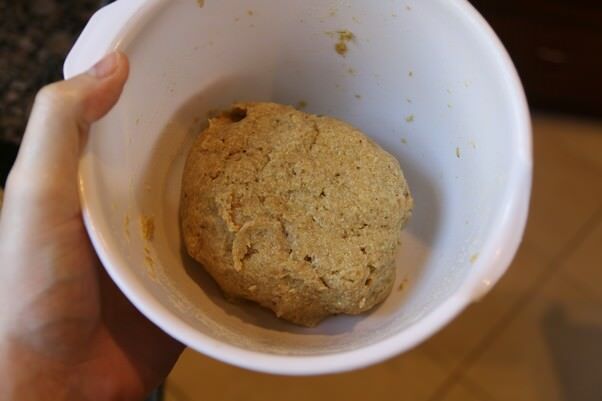 Mix it together well until a light dough forms. Leave this for 1 hour, uncovered, on the counter. 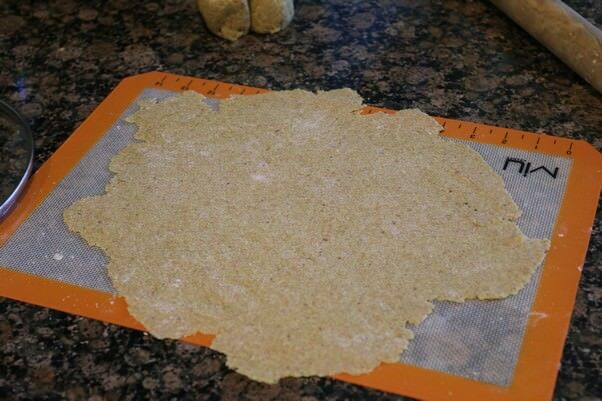 Split the tortilla into blocks of 5 if you are using a tortilla press, or blocks of 3 if you are rolling by hand. With each portion of your tortilla dough, press it down with your hand and sprinkle coconut flour over the face of the tortilla and on the rolling pin. Roll the tortillas out as thin as you possibly can without making them rip, then using a large round object (the lid of a pan, for me) cut out the tortillas. Keep extra dough to the side to re-roll into more. Heat 1 tsp. 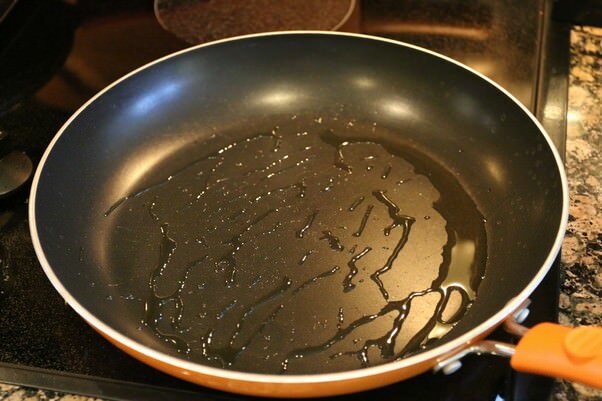 oil in a pan over medium high heat (for each tortilla) and fry until desired brownness occurs.